A meriprise Auto & Home is based in De Pere, Wisconsin, and has 1,800 employees. AAH sells auto, homeowners, renters, umbrella and some specialty insurance lines in 43 states and District of Columbia through partners. For 2018, AAH reported $789 million in surplus, $1.8 billion in assets and $1.1 billion of annual direct premium written. 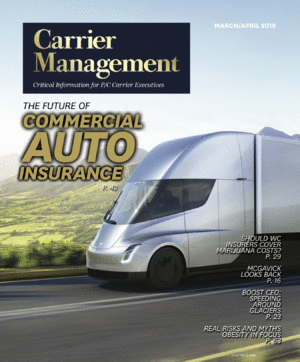 Approximately 70 percent of the company’s premium is from auto insurance sales. American Family said the two Wisconsin companies share similar cultures, values and customer focus. The transaction also broadens American Family’s business geographically. AAH’s largest premium state is California. For 2017, AAH reported direct premium written of $377 million in the state. Of that, more than 80 percent is auto premium. American Family group currently does relatively little business in California, the company said.